The Switch Technology sits low and compact on the frame so we can use a low-slung top tube to create added stand over clearance and accommodate smaller riders. Additionally, our suspension platform and its unique wheel path allow us to build the SB95 with very short chain stays, a key to achieving the ride characteristics we are used to on our 26‘’ bikes. 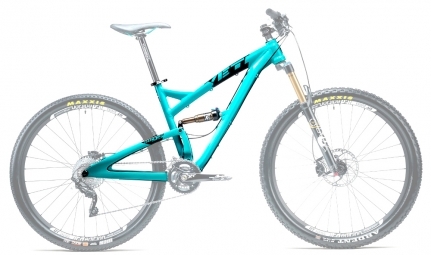 The result is a bike with a decidedly Yeti feel - it has loads of tire clearance, corners quickly and descends technical terrain confidently - while still reaping the benefits of its 29" wheels. Salsa seatclamp 35 mm included.